On March 12th (Selection Sunday) CREATE YOUR BRACKET. 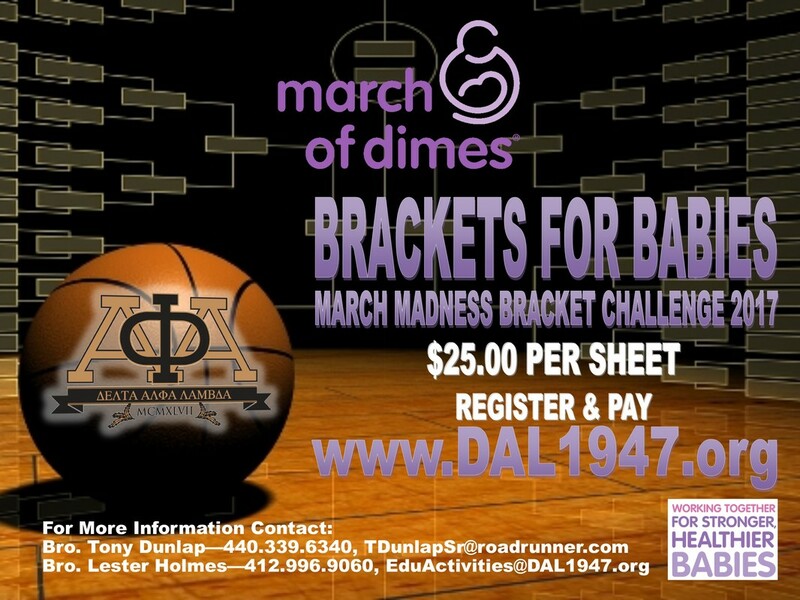 Each bracket that you submit is $25.00. 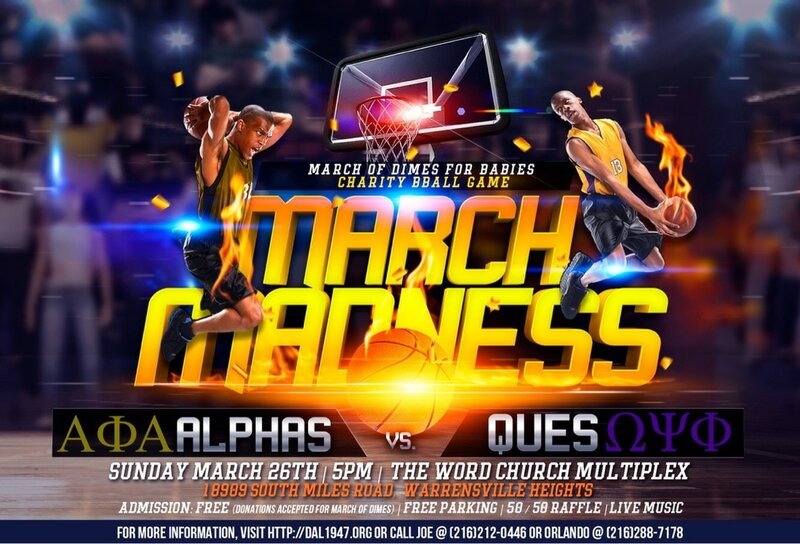 Must pay fee for each bracket submitted before the start of the first game on Thursday March 16th at noon. Your entry will be deleted if your fee isn't received before the start of the first game. 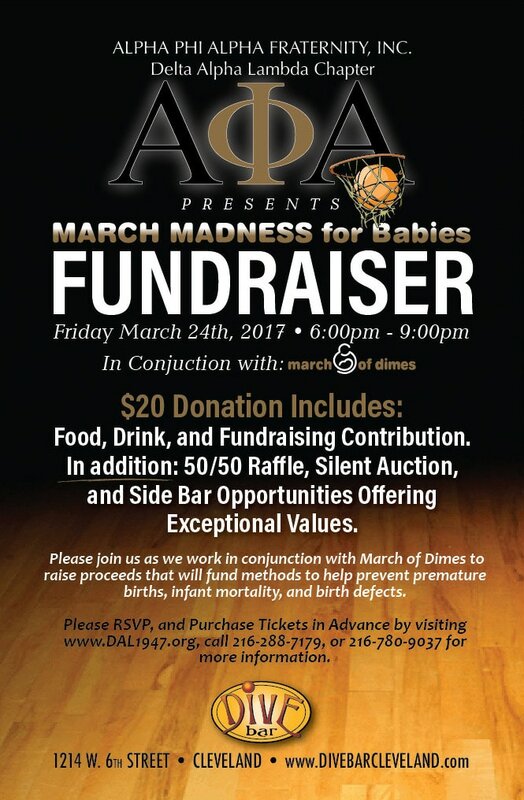 You may pay at the chapter meeting this Friday March 10th. You may pay online via our Eventbrite link, in-person at chapter meeting or by mail. Please notify Brothers Lester Holmes (eduactivities@dal1947.org) or Tony Dunlap (tdunlapsr@roadrunner.com) via email if check is in the mail. 50/50 split with the winner, to support DAL’s March of Dimes donation. ​A 3 mile route or a 1 mile family route starting at Wade Oval and wrapping through University Circle near the museums and botanical gardens. Children 3 and over may also participate in a Kids Dash.